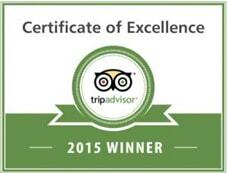 We are the first and most popular Surf Camp Portugal. Located in the Portuguese Northern Coast Line, our hostels offer you a beach front view and all the facilities you’ll need during this experience. We are going to take you to the best surfing spots in Portugal, just a few miles away from our camp. Enjoy a SPECIAL PRICE DISCOUNT for 7 Nights (Sunday To Sunday) in our Surfcamp Portugal. If you plan to explore the north Portuguese coastline and want to ride the best waves in the region let our local guides take you the perfect spots. At the end of the day, you can relax your body and mind in our Surf Hostel in Portugal. We also offer help in finding fantastic car rental deals and provide detailed information on how to get around. Enjoy our new Surf Camp Porto with a unique combination of Waves, City, Culture, a Beach front house near to the best spots in the region and a super relaxed atmosphere. Porto was elected the Best European Destination and has a lot of experiences to offer. Our classic Camp since 2004! Learn and enjoy at our School in Portugal in one of the best spots in Europe with zero crowd, empty beaches and a family atmosphere. We have Yoga sessions and BBQ from June to September. Our guests will not only be treated to a location directly on the beach, they will also encounter top-class amenities which have been designed to make their holidays a relaxed and comfortable experience. Furthermore, our Surf Hostel in Portugal offers great conditions and the best location in town. This offers you an unforgettable full week experience that includes everything you would ever need at a special price. We have two awesome Surf Camp Locations to choose from, each of them have their own unique atmosphere. Open from April until October, offers you a full surf experience with cool activities such as yoga sessions for surfers (June to Septemper only), BBQ Mondays and a beautiful beach-front hostel. Is open all year round and makes the perfect option if you are looking to spend a fantastic vacation surfing in Portugal and want to discover a diverse and culturally rich European city. Wine tasting, City Tours and buzzing Nightlife are a few of the fun activities you can do here. We offer beginner and intermediate classes all year round. 4h (pratical) and 2h (theory) lessons per week. Beginner: Provides you with a step-by-step introduction to the practical and theoretical basics of surfing waves. Intermediate: Is for surfers who already have a technique and want to be guided by a local coach to the right waves at the right time. Low Season (Nov-Mar): includes 5 days of surf. Mid Season (Mar-Jun/Sep-Nov/Dec-Jan): includes 6 days of surf. High Season (Apr-Oct): includes 6 days of surf. It’s all in your hands, you decide what kind of adventure you want. Choose what you want to do, when you want to do it and for how long. In this pack you can stay and relax in our stunning hostels located in Porto and Esmoriz , there you can find free Wi-fi, large areas to hang out and delicious food! Everything that you need for a awesome vacation, we got you covered! Not bringing your own equipment? Don’t worry we got your back! Any surf equipment that you need can be rented out at our establishments for as long as you need it for! You can book only the accommodation and then add the Surf Extras that work best for you. This could be one or two Surf Lessons, or Equipment Rental only. If you are free surfing, we will still provide the best local advice on when and where to surf. If there is space in our vans you can also add Beach Transfers to explore other surf spots in our area along with our groups. Should I bring my own board? When attending the SurfCamp Pack all the equipment needed is included. If you book Bed & Breakfast only, there’s the possibility of renting a board or other equipment that you need. In both options, you can bring your own equipment if preferred. Can access the surf equipment given at any time? Yes! Once signed in, you will have access to your own surf gear for the entire time. You will be responsible for your gear, meaning you’ll have to transport it to and from the beach on the day of your lessons and return it to the shop at the end. 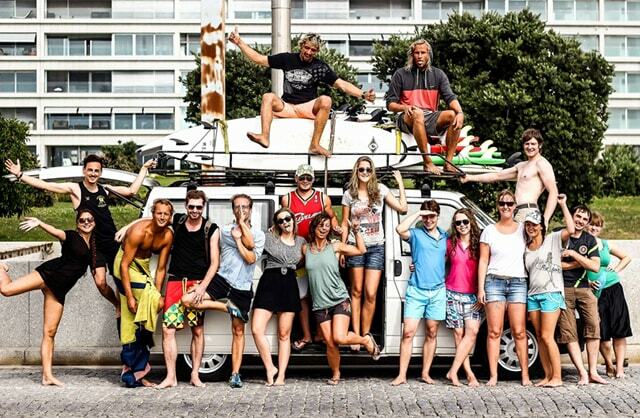 Why should I choose Surf Camp Porto? Porto is one of Europe’s oldest cities and won the European Best Tourist Destination award in 2017. The top attractions include: Porto’s famous port wine cellars where you can taste the cities’ most famous export, a visit to the old Ribeira quarter by the river bank and a stroll across the impressive “D. Luis” bridge. You have a lot of excellent places to eat and drink in Porto, where you will have the chance to try a number of traditional portuguese dishes. A must-try is the famous and delicious “Francesinha” – literally ‘Frenchy’ or ‘little French girl’. Book online here, or contact us. We are happy to book you in via email or on the phone as well. What is the best time to surf in Portugal? If you are looking for bigger waves and a more challenging Surf experience we recommend late winter to early spring, with waves typically measuring 2-4.5m or 6-15ft but that doesn’t mean summer doesn’t provide its fair share of great waves too. This time of year is more appropriate for beginners because the waves tend to gentler measuring around 1-1.5m or 3-5ft. Do I have transport to the Surf Camp from the airport? Surf Hostel Porto: Porto’s international airport Francisco Sá Carneiro is only 13km away, making the hostel easily accessible via taxi or public transport. Bus stations, old-style trams (the main tourist attraction in Porto) and a metro stop are close to the hostel. I have never surfed before. Can I still attend the Surfcamp? At Surfivor we offer beginner and intermediate classes all year round. So if you have never stood on a surfboard before, our friendly and qualified coaches will have you surfing in no time. For those surfers who already have some surfing knowledge under their belt, we also offer intermediate courses, to take your skills to the next level. What if I want to attend the Surf Camp on other days? The Holiday Pack Program is scheduled specifically from Sunday to Sunday. If you want to attend the SurfCamp on other days you can purchase the accommodation and lessons individually and for as long as you want. Besides surfing what other activities can I do? We are committed to make your holidays a relaxed and comfortable experience as can be. Besides Surfing, you can find a wide variety of activities such as Yoga, Bicycle tours, Beach walks, City Trips, Parties and BBQ’s. Esmoriz is an incredible location for athletes and has a very active local community. Running, cycling, football, volleyball and surfing, of course, are the most popular activities. Right next to camp is Barrinha Lagoon, a protected nature reserve with a boardwalk for walkers, cyclists, runners and photographers. Esmoriz has a surprising number of great restaurants, and a few minimarkets in case you prefer to cook at camp. Prices are very affordable and the community is warm and welcoming. We offer a weekly BBQ and Porto City Tour, and Yoga sessions during summer months. Porto is located across the street from the ocean, with stunning views. Outside of surf lessons, you can explore the beautiful cobbled streets of Old Town, sip Port Wine on the riverside, or run and bike along the beautiful coastal path just across from our hostel. Just 10 minutes walk from the hostel is Porto City Park, the largest green “lung” of Porto and the largest urban park in the country. With 83 hectares, you will find a rural and rustic landscape with 10 miles of trails, lakes, a rich and diverse fauna and flora. What is the difference between a holiday pack and choosing the Surf classes individually? The perks of choosing the Surf Lessons individually is that you can purchase as many as you want and choose when you want to take them. Should I choose Porto or Esmoriz? In terms of the locations it really depends on what kind of holiday you want: City Surf or Beach Holiday. Both camps are very sociable and our professional surf coaches always take you to the best local spots for your level. Our original Surf Camp in Esmoriz has a beach front Surf House. It is very comfortable, super laid back and right next to the top surf spots in the region (including Esmoriz, Cortegaca and Espinho), which are great for all surf levels. Our Surf Hostel in Porto is located a bus ride from the city center and a short ride from Matosinhos Beach which is very consistent and rated one of the best beginner waves in Europe. Matosinhos beach is one of the only surf spots in the world accessible by metro! Stayed for a week in September 17 and it was a great experience. The facilities were good and people working there were even better, really welcoming bunch and had everything planned out so you could really make the most of the time there. I had amazing week and I went back for one more week. From day 1, I was lucky to meet a group of people which I hope to keep friends forever and we had such good time. Rico, Charlie and Speedo where amazing teachers with great knowledge and enthusiasm, that help me a lot. Looking for kindness, warmth, hospitality, nice climate, new friends, amazing sunsets, curly waves, energy in its all senses? Then you should be on your way to a marvelous place in Portugal -Esmoriz immediately. When I think of my time at ‘Surfivor’ Surfcamp in Esmoriz, I have a BIG SMILE!